The sterile A-PRF™ + tube is the only authorized at this moment. Conventional tubes being used such as tubes for laboratory tests are now non-regulatory. Many scientific studies are underway: The results will be published shortly. 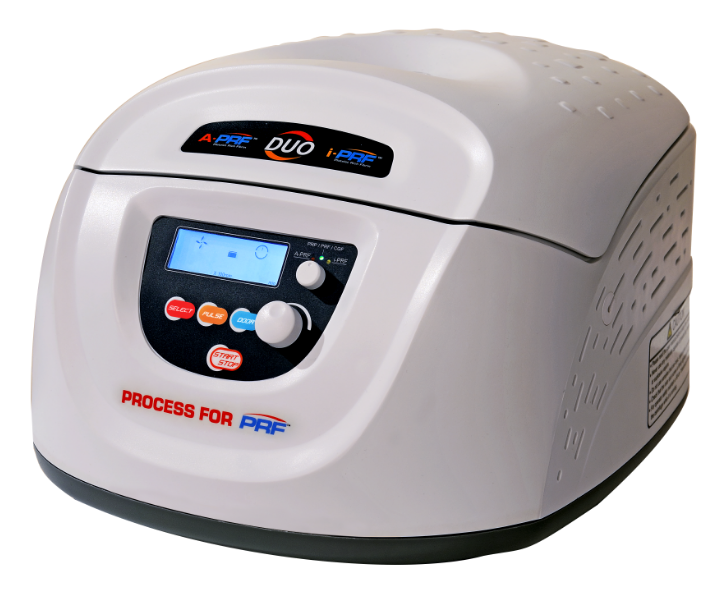 But the presence of BMP in sufficient quantity, already provides the A-PRF ™ a future by providing practitioners with a very powerful product for use in bone reconstruction. Numerous scientific publications describing the action of the white cells on vascularization and wound healing have been published in recent years. The unanimous conclusion has been that platelet concentrates enriched leukocytes are more effective on tissue and bone healing. However, the use of platelet concentrates in a “liquid” and not coagulated form remains an important indication in various medical and dental applications. That is why we have focused our research to a liquid “blood concentrate” enriched in white blood cells, but also platelet-enriched to increase the healing properties while retaining the principle of centrifugation “without anticoagulants” or “no additives “. The result is the new protocol i-PRF! The protocol i-PRF is a real scientific and clinical innovation and will allow many practitioners to improve their results in bone grafts.